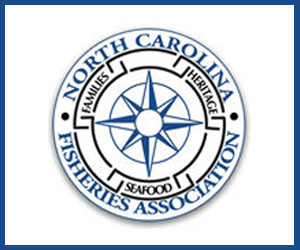 Through an Interim Final Rule filed this morning, NOAA Fisheries withdraws approval of the 2017 and 2018 Northeast Fishery Sector IX operations plan. 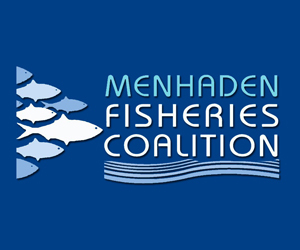 The Regional Administrator determined that the sector and its participants have not complied with the requirements of their approved operations plan, and that the continuation of the Sector IX operations plan will undermine achievement of the conservation and management objectives of the Northeast Multispecies Fishery Management Plan. This action follows the guilty plea and sentencing of Mr. Carlos Rafael, a major participant in Sector IX, who admitted to falsely reporting catch information. Any Sector IX vessels that are currently at-sea on a groundfish trip must return to port immediately, and are allowed to offload and sell their catch. 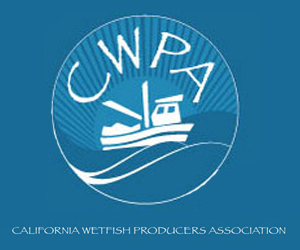 After that, vessels that are eligible to fish under other permits, without declaring a sector trip or using a multispecies day-at-sea, can continue to do so during the 2017 fishing year. Sector participants may not declare a sector trip or use a multispecies day-at-sea for the remainder of the 2017 fishing year. 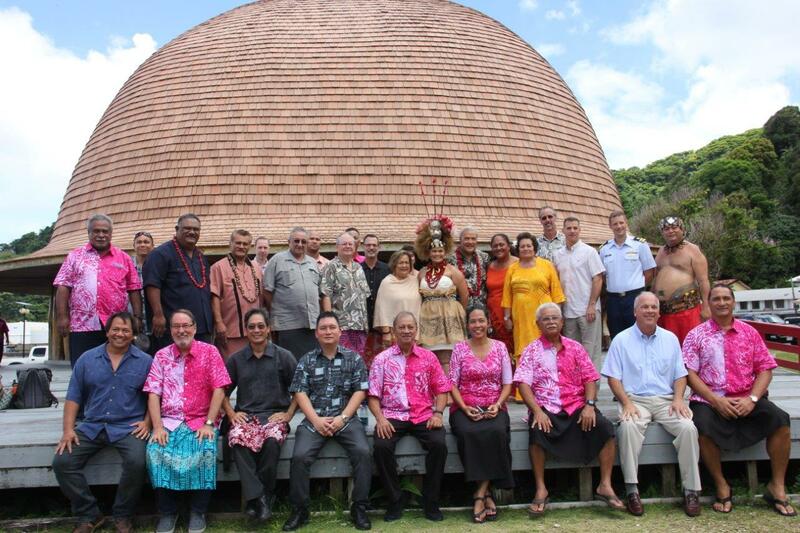 Sector IX may not lease in or out any groundfish allocation. Read the rule as filed this morning in the Federal Register. The comment period for this interim final rule closes on December 20. Learn more about NOAA at their site here. WASHINGTON (Saving Seafood) — October 11, 2017 — Judge William G. Young of the U.S. District Court, District of Massachusetts, has released his order on the question of forfeiture in the Carlos Rafael case. The following summary is taken from the text of the order. The full order is available here. The government sought forfeiture of 13 fishing vessels and permits. Rafael owns the “Athena” outright and has a one—half interest in the remainder of the fleet. Based on the current market, the estimated gross value of the Vessels and Permits is approximately $30,000,000 and there are approximately $2,000,000 to $3,000,000 in liens and attachments on the Vessels and Permits, reducing the value of the Vessels and Permits to approximately $27,000,000 – $28,000,000. The relevant statute mandates forfeiture. Because Rafael violated the Lacey Act, and conspired to violate the Act, this Court must order forfeiture to the extent permitted by the Constitution. 1. Rafael falls into the class of persons to which the criminal statute was principally directed. 2. The requested forfeiture would not deprive Rafael of his livelihood. 3. The harm caused by the defendant was substantial. After carefully calculating the sentencing guidelines as required by law, the Court derived a guideline range of not less than 51 nor more than 63 months imprisonment, a fine range of $20,000-$200,000, restitution of $108,929 supervised release from one to three years, and a mandatory special assessment of $2,800 ($100 on each of the 28 counts of conviction). Following the principles set forth in 18 U.S.C. § 3553(a), with specific emphasis on the need for specific and general deterrence in light of Rafael’s extensive flouting of the fishery reporting regulations and the harm it caused, this Court sentenced him to 46 months in custody, three years of supervised release (with a special condition barring him from the fishing industry), a special assessment of $2,800, and a fine of $200,000, the maximum guideline fine provided for Rafael’s adjusted offense level. …This Court in order to carry out the Congressional mandate must decree forfeiture to the full extent permitted by the Eighth Amendment. …the guidepost is relatively clear; the forfeiture must not be grossly disproportionate to the maximum fine under the sentencing guidelines. The government erroneously seeks to multiply the maximum fine by each of twenty-three counts of conviction for violations of the Lacey Act. That’s not how the guidelines work. United States v. Bajakajian, 524 U.S. 321, 334 (1998) makes clear that a forfeiture of 70 times the maximum fine is grossly disproportionate, nothing in United States v. Jose, 499 F.3d 105 (1st Cir. 2007) suggests that 4 times the maximum guidelines fine is the outer limit of proportionality. The Court, accepting the appraisals and listing of permits found in Rafael’s Opposition to Forfeiture, Exhibit — seeks to maximize, within constitutional limits, the number of vessels and permits to be forfeited. I have stayed away from the “Athena” and the “Hera II” because they have scalloping permits and scalloping is not involved in this wrong doing. By adhering to our present quasi-determinate form of sentencing Congress has at the same time limited its largely unfettered legislative power in the premises by delegating to the Sentencing Commission the power to set fine ranges and, by extension, the permissible scope of constitutional forfeiture. Moreover, a forfeiture sanction of $2,000,000+ in assets accords well with Rafael’s suggested $2,800,000 cash forfeiture. Rafael, of course, would agree to this cash forfeiture in a last ditch effort to save his fleet entire and, apparently, sell it as a whole. The government will not agree- it seeks the forfeiture of actual Vessels and Permits. Accordingly, Carlos Rafael shall forfeit all right, title and interest he may have in the “Bull Dog” ($661,3505 – 8 permits), the “Olivia & Rafaela” ($458,550 – 11 permits), the “Lady Patricia” ($338,800 — 4 permits), and the “Southern Crusader II” ($800,150 – 11 permits), i.e. four fish boats with a total appraised value for Rafael’s interest of $2,258,850 and 34 permits. 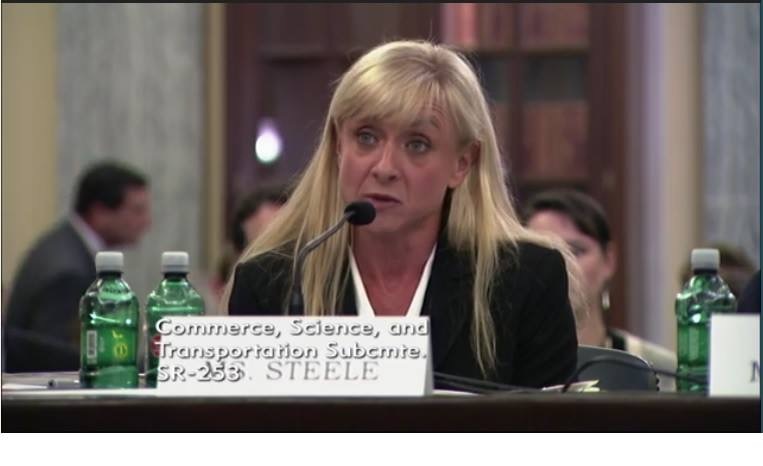 WASHINGTON (Saving Seafood) — September 12, 2017 — Two members of Saving Seafood’s National Coalition for Fishing Communities (NCFC) testified before a key Senate Subcommittee today on the reauthorization of the Magnuson-Stevens Act. 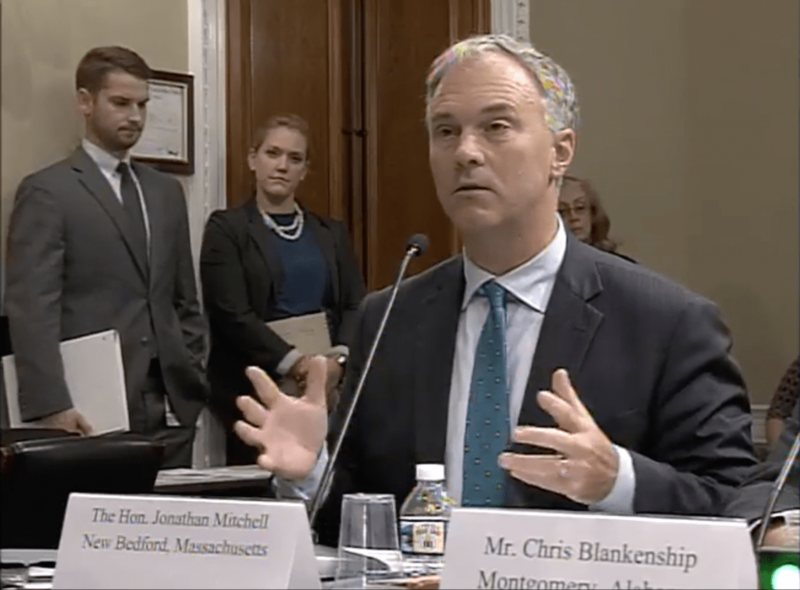 The hearing was convened by Sen. Dan Sullivan (R-Alaska), Chairman of the Senate Subcommittee on Oceans, Atmosphere, Fisheries, and Coast Guard, and was the third in a series of hearings on the Magnuson-Stevens Act. 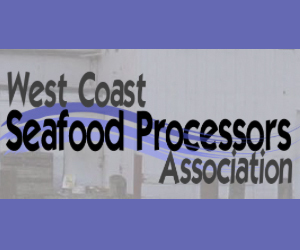 Lori Steele, Executive Director of the West Coast Seafood Processors Association based out of Oregon, and Greg DiDomenico, Executive Director of the Garden State Seafood Association based out of New Jersey, discussed the state of U.S. fishery laws and the needs of commercial fishermen. August 10, 2017 (Saving Seafood) — WASHINGTON — Many news sites’ comment sections have devolved into miserable places for conversation on the internet. Online insults and internet trolling has become endemic, and even the target of an ongoing storyline on South Park. Because we don’t have the staff to monitor comments, until now, Saving Seafood has not included comment sections in our posts. But in our current regulatory and political climate, the fishing community should have a public place to discuss the issues we confront, and one that is relatively safe from trolls and bots. So beginning today, we are adding commenting on Saving Seafood posts, using a service called Civil Comments. The system is unique and one we think will create a lively and engaging community that we hope you’ll join. With Civil Comments, you’ll be asked to rate the civility of several other comments from the site — and then your own comment — before you’re allowed to submit it. This kind of crowdsourced moderation is a unique way to try to ensure higher quality comments without the heavy hands of moderators deleting offending posts. Once you start commenting, and rating others’ posts, the machine-learning algorithms will get to know our commenters, and its ability to weed out trolls and spam will gradually improve. The system is programmed to quickly detect attempts to game the system by voting disingenuously on others’ posts. Why do I have to rate other people’s posts? Internet comments can be a place for spirited, meaningful debate about all kinds of topics. All too often, though, they turn into a festering garbage fire of harassment, abuse, and spam. Computer algorithms aren’t yet good enough to accurately determe meaning from free text, but human beings are great at it! To help keep your community civil and respectful (and free of annoying spam), we ask that commenters pitch in by helping with moderation. Over time, with proven civility and trust, this rating system becomes opt-in, as a reward for qualified commenters. How do you keep people from gaming the system? Won’t users just vote down posts they disagree with? What if the majority votes down minority opinions, even if they’re civil? We were worried about this, too! It’s why we put tons of thought, care, and effort into designing the backend algorithms that analyze the reviews, to prevent bias. Having a “civil” comments section doesn’t mean a groupthink echo chamber. Each comment is reviewed by multiple people, and we pool and analyze those reviews to check for patterns of abuse. We also use that data to help decide who sees which comments for review, and we anonymize veteran commenters to prevent bias against specific users. So far, it’s been working well! One great finding has been how rare the attempts at cheating/gaming the system actually are. We’ve found that the overwhelming majority of people actually vote in good faith, so +1 for humanity. With Civil Comments®, people are attacking ideas, instead of each other. What do you mean by “good” comments vs. “civil” comments? For each comment, we first ask the reviewer, “is this a good comment?” Here, “good” means whatever you, personally, think is “good.” Does the comment contribute to the conversation in a meaningful way? Maybe it’s funny or insightful, or you just agree with it. If you have no opinion on a comment’s quality, you can choose the middle option of “Sorta” or “Somewhat”. If you really think the comment is bad—off-topic, poorly-reasoned, or you just don’t agree with it—you can choose the “No” option. Answers to this first question don’t affect whether or not a comment is published, but they do contribute to the way comments are ranked when sorted by “Highest Rated” (along with “likes” received). The second question our system asks is, “Is it civil?” A civil comment can still be angry and passionate, but cannot include threats, personal attacks, name-calling, racial slurs, doxxing/de-anonymizing (revealing personal information about another commenter, including their real name, home address, phone number, etc.) and obvious spam. Isn’t this censorship? What about free speech? The first amendment guarantees that no one can be thrown in jail for what they say. We’re strong believers in freedom of speech and freedom of the press, but our stance can be summarized by the old adage, “my right to extend my fist ends where your face begins.” Spam, personal attacks, harassment, abuse, and even death threats are so common in comment sections that many sites are just turning comments off entirely, which effectively silences everyone. Sites that do keep comment sections open need to be constantly vigilant, with staff policing the rampant bad behavior and deleting spam. Since comment sections clearly do need moderation, we think it’s far more fair for your comment to be judged by several of your peers—the people with whom you share the community—than by a single moderator, who is separated from the community and typically employed by the site. Why don’t sites just hire moderators? Most publications just don’t have the time and/or resources to hire moderators to monitor the comments 24/7. A few very large sites have full-time staffs dedicated to this, but some spend over $1 million per year on moderation, and still must limit the number of comments they publish, due to staffing constraints. With traditional moderation, each comment is only be seen by one person, where it receives one pass/fail grade. 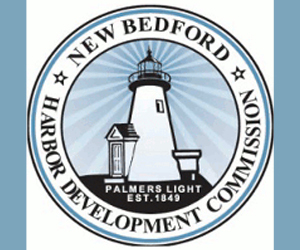 With Civil Comments, each comment is judged by several people. Our patent-pending Behavior Engine then analyzes those judgments and attempts to account and correct for bias and people trying to cheat the system. Despite all of your safeguards, I saw some spam/harassment/abuse in the comments! Oh, no! Our system works really well so far, but it’s still new and improving. Sometimes uncivil things will slip through the cracks—that’s why the we have a flag button! If you see anything that qualifies as abuse, harassment, or spam, you can flag it to notify publication staff. Keep in mind that flagging without valid reason will have a negative impact on a user’s trust rating, though, and their flags will cease to “count.” So, please only flag if the comment is truly problematic! 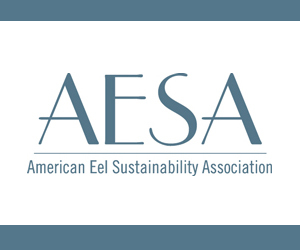 The Sustainable Shark Alliance (SSA) and the Southeastern Fisheries Association (SFA) applaud the State of Florida, Governor Rick Scott, and the Florida Legislature for passing a new law strengthening prohibitions against the illegal act of shark finning. The bill was passed unanimously by both chambers of the Florida Legislature and signed into law yesterday by Gov. Scott. It will take effect beginning in October. The legislation raises existing fines and penalties for shark finning, which has been illegal under federal law for decades, and codifies a Florida Fish and Wildlife Conservation Commission rule prohibiting this practice. Anyone caught removing shark fins before the shark has been landed at the dock will be subject to escalating punitive measures, such as fines and suspended permits, that culminate in a loss of all Florida fishing license privileges for a third offense. As originally introduced, the bill would have completely eliminated the sale and trade of shark fins in Florida. But after industry and the Florida Fish and Wildlife Conservation Commission presented facts about how Florida’s commercial fishermen responsibly land and harvest sharks, the bill was altered to specifically target those engaged in illegal shark finning. It was introduced in the Florida Senate by Sen. Travis Hutson, where it passed 39-0, and in the Florida House by Reps. Joe Gruters and Alex Miller, where it passed 115-0. The Sustainable Shark Alliance (SSA) is a coalition of shark fishermen and seafood dealers that advocates for sustainable U.S. shark fisheries and supports healthy shark populations. The SSA stands behind U.S. shark fisheries as global leaders in successful shark management and conservation. 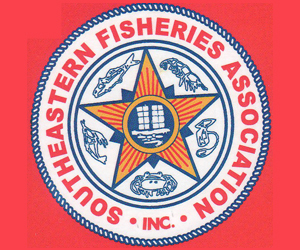 The Southeastern Fisheries Association (SFA) is a Florida-based nonprofit trade association founded by a core group of fish dealers in 1952. 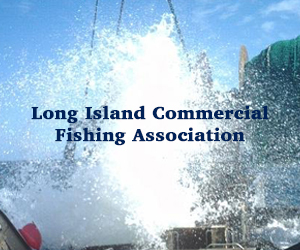 The SFA defends, protects, and enhances the commercial fishing industry in the Southeastern United States while maintaining healthy and sustainable stocks of fish. Each year, the Port of Hueneme hosts the MAST (Maritime Advanced Systems & Technology) Open House & Expo to foster ideas, innovation and leading edge technologies for the advancement of ports and the maritime environment. In attendance and exhibiting their technologies are representatives from some of the region’s most cutting-edge companies, plus marine scientists, maritime industry experts, and academic leaders. Highlights: Over 100 students expected to attend; cutting-edge technology demonstrations; great photo opportunities. Press encouraged to attend at 10:00 am. Who: Each year, the Port of Hueneme hosts the MAST (Maritime Advanced Systems & Technology) Open House & Expo to foster ideas, innovation and leading edge technologies for the advancement of ports and the maritime environment. In attendance and exhibiting their technologies are representatives from some of the region’s most cutting-edge companies, plus marine scientists, maritime industry experts, and academic leaders. Students are invited to participate in the morning to observe technologies and demonstrations in the MAST Open House as well as meet with real- life industry pros to discover maritime industry career paths during the Maritime Career Exploration Day fair. What: MAST fosters leading edge technological innovation and integration in a port and maritime environment. The MAST Lab joins a federated network of leading academic, research, test and evaluation, in-service engineering and operational centers to further expand the region’s ability to provide solutions to national security challenges.